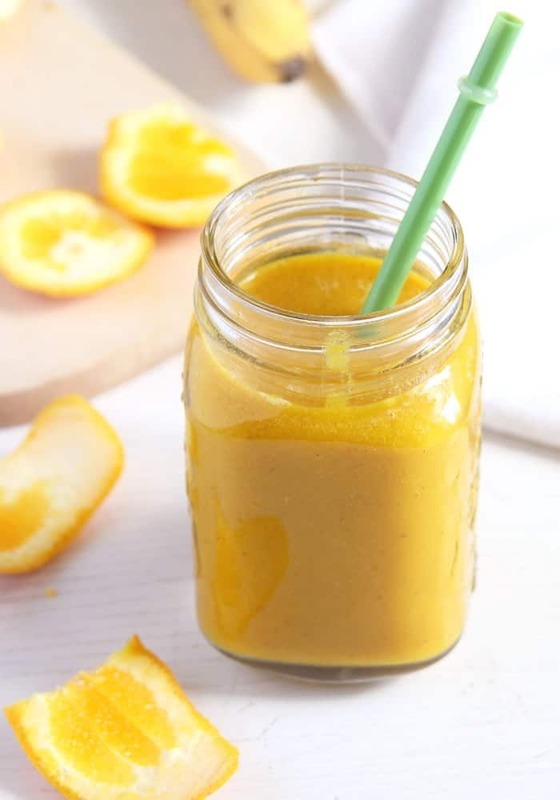 How about starting your day with this delicious and super healthy Apple Orange Turmeric Paste Smoothie? I do love my homemade Turmeric Paste for Golden Milk and I normally drink it every day in the original form of Golden Milk or as Turmeric Tea. 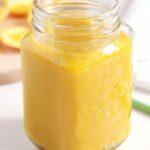 But because I usually like a lot of change when it comes to eating and drinking, I’ve came up with several recipes which use this wonderful turmeric paste. 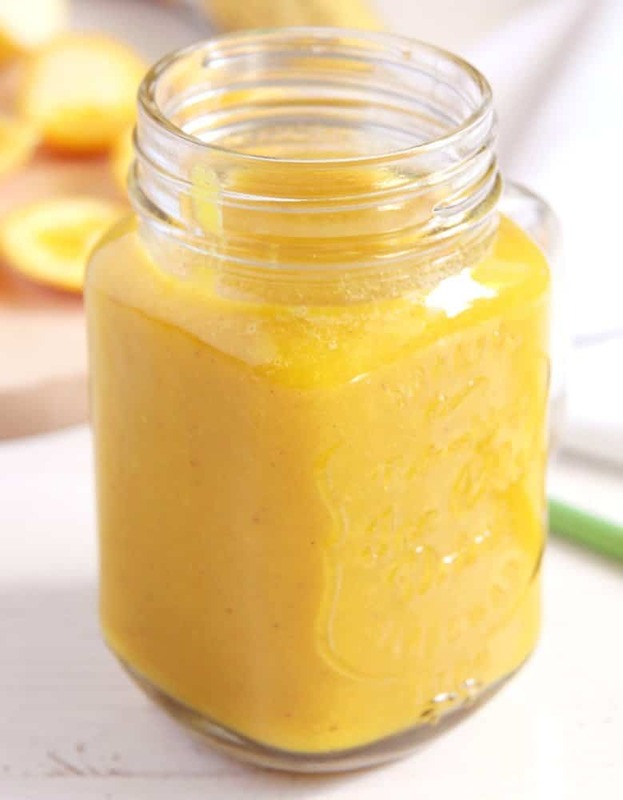 One of them and probably the simplest of them all is this Apple Orange Turmeric Paste Smoothie. A perfectly delicious and healthy start in the day! It takes than 5 minutes to make and it tastes fantastic. Just give it a try! For more on the health benefits of turmeric paste and its uses have a look at this article: Health Benefits and Uses of Turmeric Paste. Chop the apple and the banana and place them in the food processor. Peel the orange, removing the white parts as well. Chop and give to the food processor. Add the orange juice and the turmeric paste and process until very smooth. Serve with ice cubes, if you wish. This smoothie has my name written all over it! This sounds sooooo yummy, Adina!! I’m totally in love with the colour!!! Wow! 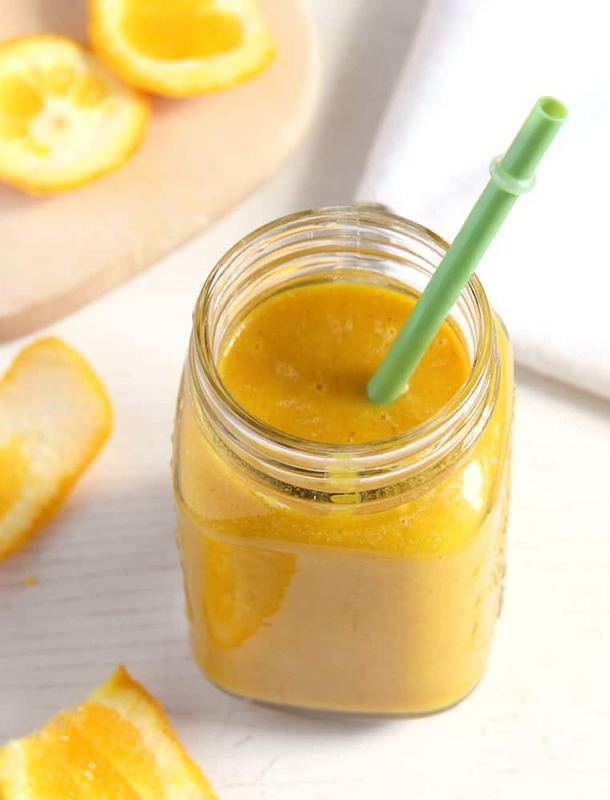 Love that pretty yellow color of this apple orange turmeric smoothie. I would love to try this. 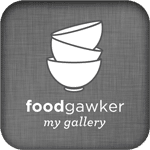 Just one thing, can I use turmeric powder instead of paste? You could take only some turmeric powder, of course. However, the paste contains more ingredients and that has an influence on the taste. Try adding a pinch of some of those spices as well.